FARNHAM .R.U.F.C. 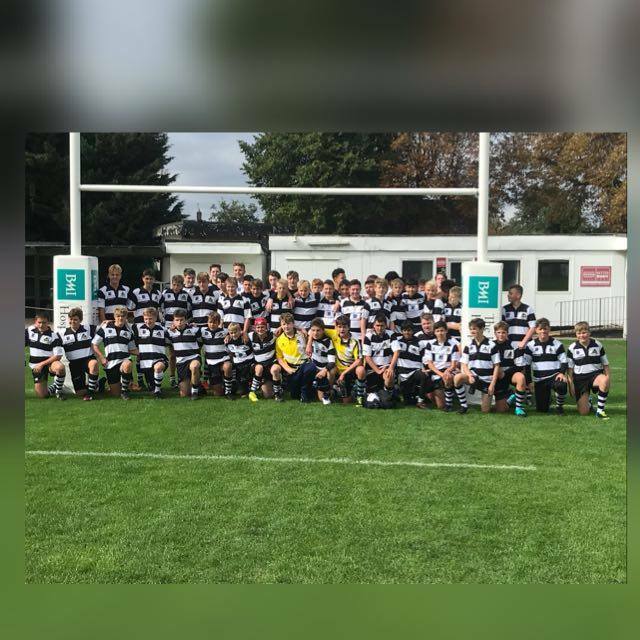 B 41 vs. 17 WINDSOR R.U.F.C.B - 21 October 2018 - U15s - Farnham R.U.F.C. like a fine wine teams mature and this weekend was a coming of age for the B squad that showed its strength and depth of character after the previous weeks games. This was actually only the second time so far this season we have played two teams from the same club. The months frustrations of playing supoosed Weak A teams boiled over with a massive diaplay of power. Everyone played their part to secure this win. Brave in defence, aggressive at the breakdown and supported well into contact. The Backs running lines and handling today was top class. The back line Marshalled by Ted Baily pressed Windsor hard . Some strong carries from Joe Pocket & Will Brown cut deep in to the Windsor territory and Jacob Stadler commanding at 10 ,who’s reading of the game put the opponent continually on the back foot, orcastrated a number of devastating attacks. Special mention to Tom Hammond who put a real shift in at 12 and scored a fabulous try. Great display, great attitude, so proud of our boys.